All this talk about the Supreme Court ruling that Philippine colleges may now exclude Filipino and Panitikan from the core subjects prompts a reflection on the value of language to Filipinos. In the early days of its civilization, the Philippines did not have a single common language that could be understood by its plethora of cultural groups. 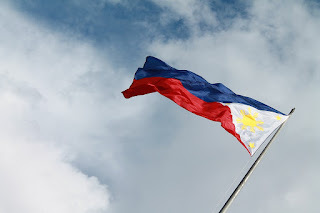 It was only in 1937 that a resolution approving the adoption of Tagalog as the language of the Philippines, and declaring the national language based on Tagalog as the national language of the Philippines was signed by President Manuel L. Quezon. This move did not go unopposed, predictably among non-Tagalogs, who saw the declaration as giving unfair advantage to those who hail from Tagalog-speaking areas. Others contended, meanwhile, that one of the bases on which it was selected—as the most widely-spoken language in the Philippines—was not entirely true. Cebuano, it was argued, was the more widely-spoken language. Meantime, others claimed that a fairer decision would have been to select a language that was spoken by the least number of people. This way, it was said, the majority of the people would have to learn the new national language, and the problem of the unfair advantage to the majority would be solved. Today, Filipino remains the national language, and the Constitution mandates its development and enrichment, not only based on Tagalog, but also on other Philippine languages. For the Supreme Court and the CHED to assert that the Filipino subject previously taught in college is now sufficiently accommodated in the additional years of Senior High School goes starkly against the idea of continuing its development and enrichment. Regardless of the politics involved in its declaration as a national language, Filipino is all we have. Whether or not it was the best language to select as the national language is really beside the point. In this day and age, Filipino serves its purpose to bridge not only cultural gaps, but also divisions based on ideology and class. It functions to unite the archipelago by giving it a language in which to communicate dreams and verbalize ideas. To eliminate the study of the language (as well as literature written in said language), therefore, is not only to deny the purposes it serves to our society, but also to hinder its growth to be the true national language it was envisioned to become.